Osseointegration refers to the attachment of an external prosthesis directly to an implant on the remaining bone of the residual limb. 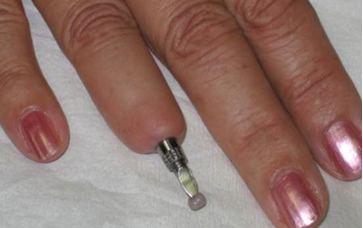 A metal implant extends through the skin out of the residual limb. We can use this for the secure attachment (suspension) of prosthetic fingers, toes, ears, nose prostheses and transfemoral (above knee) prosthesis. A specialised orthopaedic surgeon performs the surgery and places the implant after which the relevant prosthesis is designed and manufactured. A revolutionary Osseointegrated Implant into the femur of an above knee amputee who could not tolerate a prosthetic socket due to psoriasis. 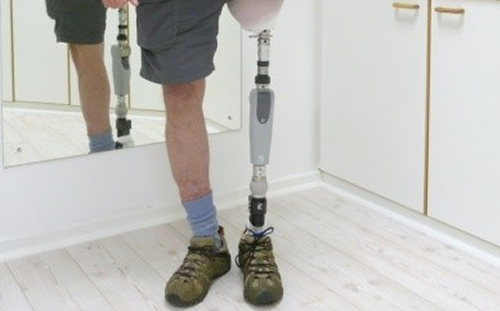 The Prosthesis attaches to the implant by means of a custom made prosthetic adapter. This allows very easy attachment and release of the prosthesis. 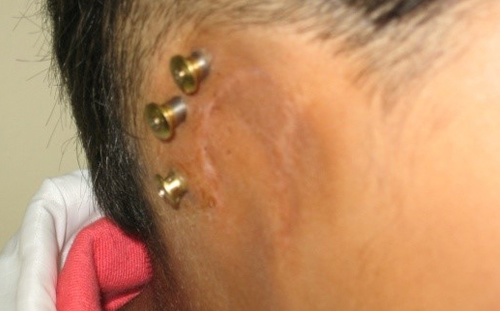 Osseointegrated Implant into the temporal bone for the secure attachment of prosthetic ears. 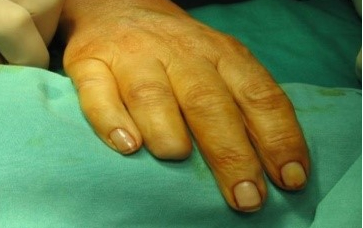 Pre-Surgery for Osseo Implant for the ring finger. Osseointegrated Implant with extending abutment. 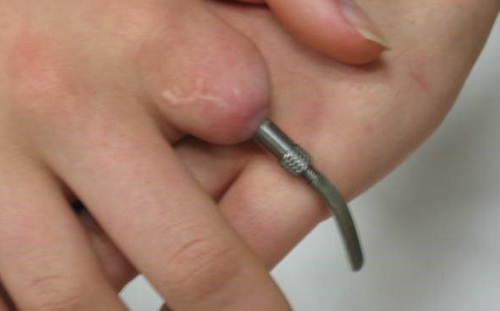 Hand with silicone finger prosthesis attached to the Osseointegrated implant. 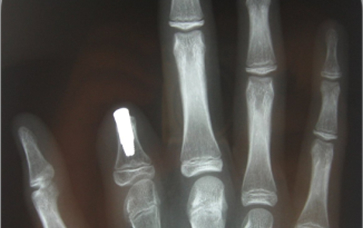 Osseointegrated implant into the amputated index finger. The extended abutment attached to the Osseointegrated implant. 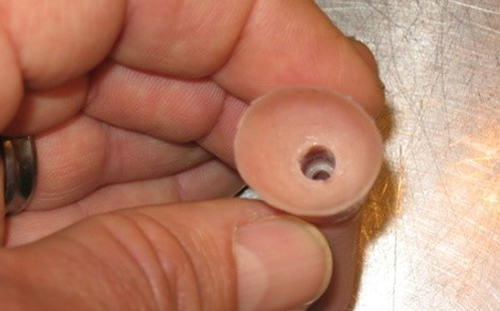 Internal channel for the extended abutment in the silicone finger. 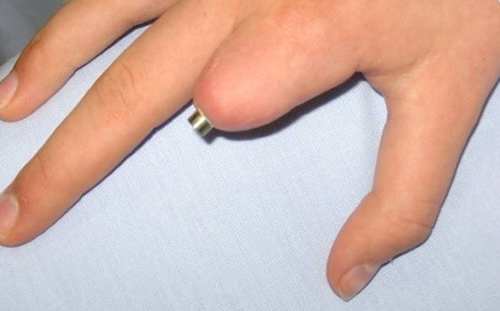 Custom made silicone index finger to attach to an Osseointegrated implant. 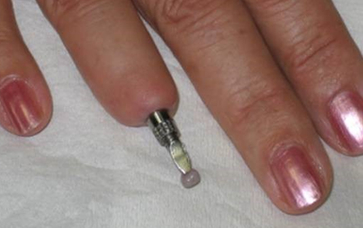 Silicone index finger attached to Osseointegrated implant. Full view of the right hand with the silicone index finger. 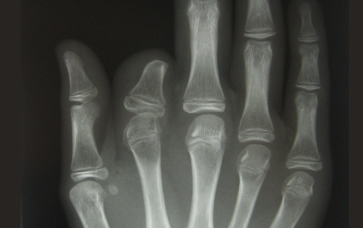 Osseointegrated implant and abutment into the metatarsal bone of a big toe amputation. Custom made silicone toe prosthesis to attach to the Osseointegrated implant. 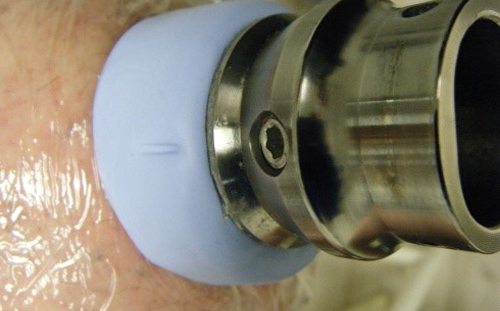 Silicone toe prosthesis attached to the Osseointegrated implant. 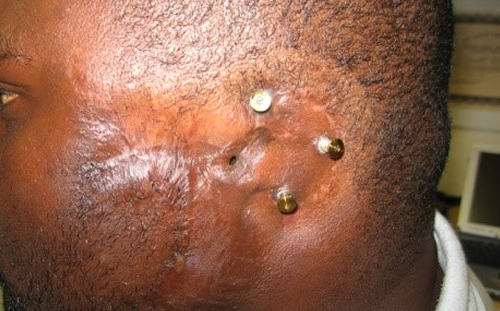 Osseointegrated implants and abutments into the temporal bone for attachment of the silicone ear. The Custom silicone ear prosthesis fitted. The Custom silicone ear prosthesis fitted. It allows the symmetrical suspension of all eyewear. 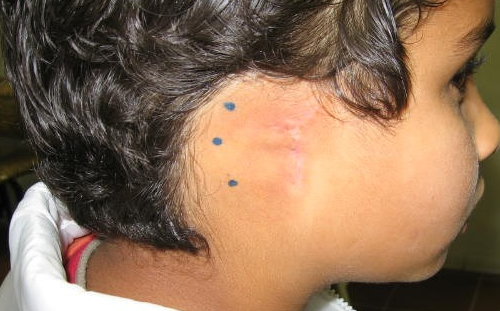 Markings on the skin for the correct positioning of Osseointegrated implants. andabutmeinto the metatarsal bone of a big toe amputation. 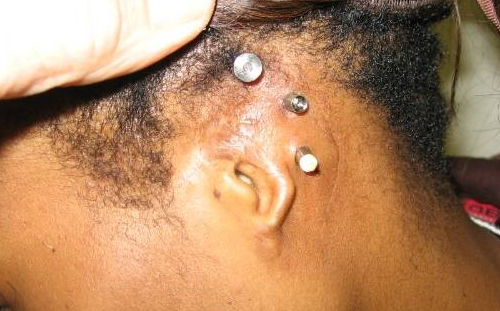 Osseointegrated implants and abutments into the temporal bone for attachment of the ear. The Custom silicone ear prosthesis fitted to the young boy. A first in South Africa! 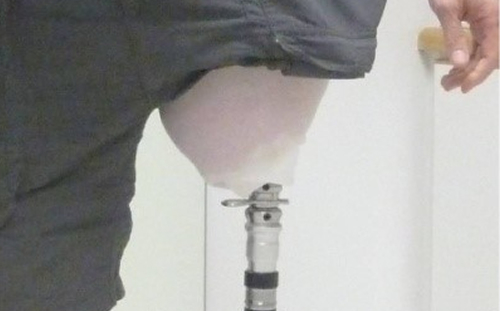 An Osseointegrated Implant into the femur of an above knee amputee. A RHEO Knee bionic prosthesis attached to the Osseo implant by means of a quick release adapter. Ossur RHEO knee, with Reflex Rotate Foot provide shock absorption and torque absorption to protect the osseointegrated implant.